At my previous school I taught Opening Minds which was essentially citizenship, values and RS. One of my favourite units looks at human rights and education. As I tidied up my hard drive this afternoon, I thought it would be nice to amend the resource booklet a little so PowerPoint weren’t need and share it with you in case it is of interest to any of you. The booklet starts with a learning matrix outlining to the student the content to be covered. Lesson 1 begins by encouraging students to consider what they know and want to know about the topic. Followed by an exploration of the concept on human rights and the declaration of human rights before students sort the human rights in order or importance for them. 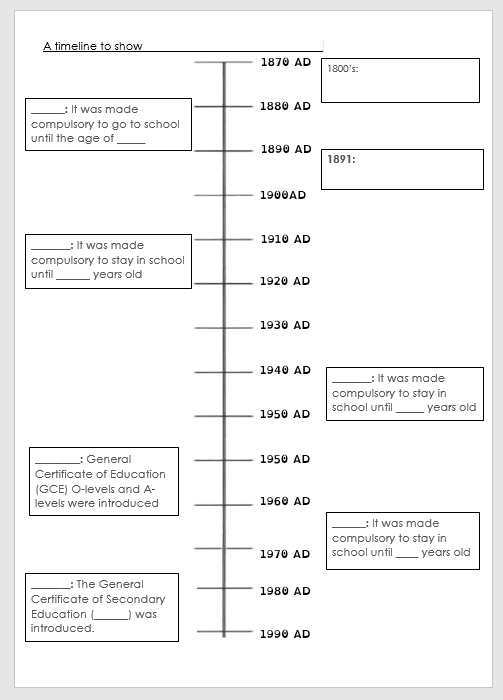 Lesson 2 then looks at access to education in the UK since the 1800’s through the creation of a timeline which I previously shared here. Lesson 3 explores classrooms around the world. Students view the images here and follow it up by completing the table to produce a comparison of education around the world. As part of the comparison students are encouraged to consider the reasons for the differences. Finally students reflect on what they discovered. I’d throw in a video or two as well. Lesson 4 students then investigate Malala’s story using a resource from ‘Lessons from Africa’. This lessons involves comprehension; students read the biography and answer the questions. In lesson 5 and a bit, students watch ‘He Named Me Malala‘. Each time I taught this topic I had to sit at the back of the room with a box of tissues as I always cry! If you think the booklet and resource will be of any use to you, please feel free to download it by clicking the image below. If you download and use the booklet, do let me know how it goes. Feedback is always welcome. Categories: Citizenship, Values and RE, KS3, Resources | Tags: citizenship, Education | Permalink. It was pointed out to me after sharing my last Mrs Humanities shares… post on History Revision Resources that many people share their resources via Facebook groups now instead of other online platforms yet I still speak to people who are completely unaware of this. In order to inform those that might be interested I’ve collated the variety of Facebook teaching groups in this post to help you find them easily. I imagine this is not an exhaustive list so if you know of others please let me know. I hope this helps you to connect, share and inspire. Categories: Citizenship, Values and RE, Geography, History, MrsHumanitiesShares, Resources, Workload | Tags: GCSE, Geography, History, IBDP, MrsHumanitiesShares, MYP | Permalink. At my last school I taught and developed Opening Minds, our citizenship and RE curriculum. As part of the year 7 provision they explored human rights with particular focus on education. One of my favourite lessons which led to much discussion and questionning from the students happened to come from a very simple lesson looking at access to education over time in the UK. Students first mind mapped what they knew about education in the UK. There were many misconceptions with many believing that education had been accessible by all for a very long time. 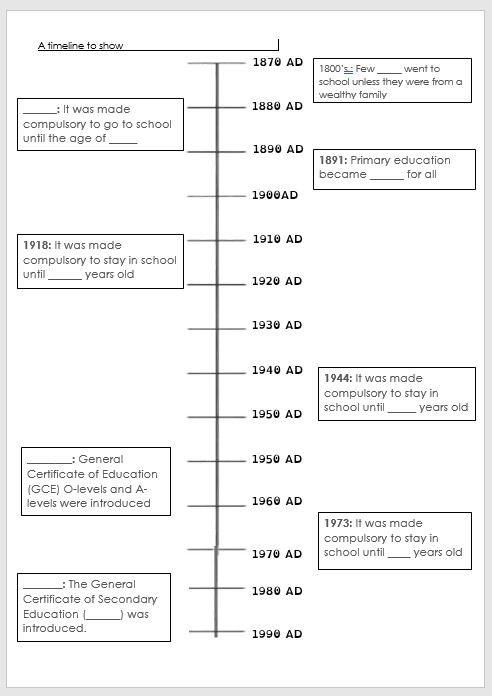 We then looked at these misconceptions by exploring a timeline of education in the UK. Students were given a set of cards to arrange into chronological order, after which they discussed what they discovered. 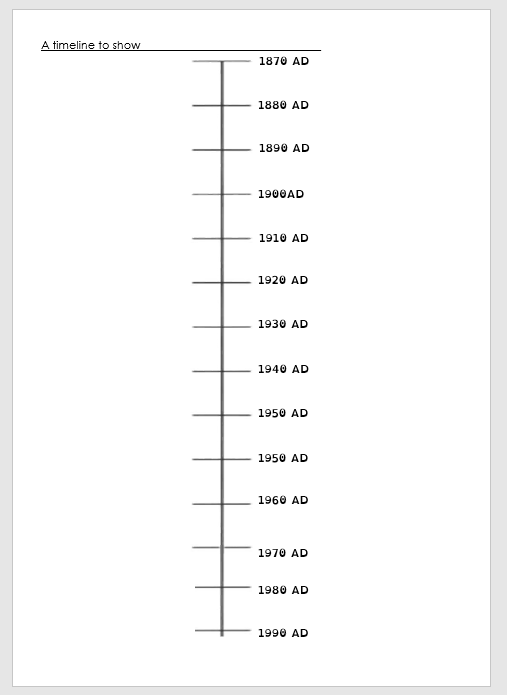 Finally students completed a timeline on access to education in the UK. Students were scaffolded dependent upon their varying abilities and skills associated with chronology and production of timelines evident from their Humanities lessons. You can download the resources here. Hope you can make use of the resources. Categories: Citizenship, Values and RE, KS3, Resources | Tags: citizenship | Permalink.